Shame and guilt are two self-conscious emotions that everyone will feel several times throughout their lives. These are generally negative emotions which make people feel bad about themselves and can have negative consequences. That said, shame and guilt are important emotional components of leading a prosocial life. 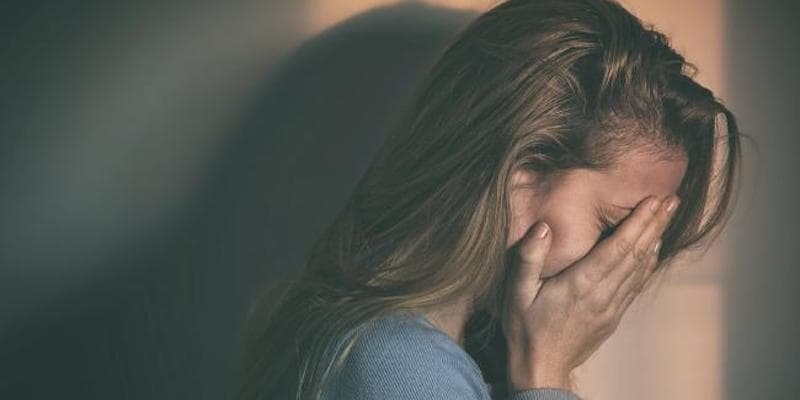 This article will discuss some psychological theories about the emotions, the internal and external experiences of shame and guilt, and finally, ways that guilt and shame can be overcome to avoid toxic and negative self-evaluations. First, though, it is important to distinguish between shame and guilt, as they are two similar but significantly different self-conscious emotions. The Positive Psychology toolkit is a science-based, online platform containing 200+ exercises, activities, interventions, questionnaires, assessments and scales. “negative affective states that occur in response to a transgression or shortcoming, and both are self-conscious emotions, meaning that self-reflection is critical to their occurrence” (Tignor & Colvin, 2017). This explains why they are often conflated, a problem which is not helped by the fact that one can, of course, feel shame and guilt at the same time. One useful, generally-accepted framework distinguishes the two by saying that “[s]hame is about the self” while “guilt is about things in the real world—acts or failures to act, events for which one bears responsibility” (Lewis, 1971). That is someone who feels guilty regrets some behavior they exhibited, while someone who feels shame regrets some aspect of who they are as a person. This is sometimes called the “self-behavior distinction” (Tignor & Colvin, 2017). Following this logic, it is much easier to alleviate feelings of guilt than of shame, as making up for bad behavior is easier than fundamentally changing oneself. Indeed, one review examining the neural correlates of guilt and shame (as well as embarrassment) found that the neural underpinnings of guilt and shame were similar yet distinct, indicating that both emotions while sharing some common ground, are fundamentally different (Bastin et al., 2016). In general, this article will subscribe to Lewis’s (1971) framework of shame and guilt. That is, when someone feels bad about who they are as a person because they have mistreated someone, they are experiencing shame. When someone feels bad about the behavior they exhibited, on the other hand, they are experiencing guilt. While this framework is generally accepted, it is useful to discuss some other theories about the two emotions. Early conceptualizations of shame and guilt claimed that shame was a public experience (caused by the reactions of others) while guilt was a private experience (caused by internal conflict about morality) (Ausubel, 1955). This conceptualization is not often promoted by modern thinkers, however, as research shows that both shame and guilt are felt publicly and privately at similar rates (Tangney et al., 1996). In fact, the framework set forth by Lewis (1971) is somewhat in conflict with the idea of shame as public and guilt as private, as Lewis claims that shame is directed inwardly at the self, while guilt is directed outwardly at one’s behaviors or actions. Some conceptions of shame and guilt consider them to be “self-blaming” emotions, and claim that emotions like this “are crucial for the development and maintenance of interpersonal relationships because they act as important social regulators by encouraging a balance between the individual’s urges and the rights and needs of others” (Bastin et al., 2016). This is an important point to make, as it underscores the value of feeling shameful and guilty. In cases where a real wrong has been committed, feelings of shame and guilt are the first step towards repairing the damage one has done. Some modern commentators have argued that there are two types of guilt: “maladaptive, neurotic guilt” and “adaptive, pro-social guilt” (Tignor & Colvin, 2017). These researchers argue that the type of guilt being studied depends on the measure being used and that future research needs to distinguish these two types of guilt. Specifically, the researchers isolated guilt into “checklist guilt”, which is guilt measured by asking participants about the guilt they have experienced in the past, and “scenario guilt”, which is guilt measured by asking participants about the hypothetical guilt they might experience in future scenarios. This distinction may also explain why shame is generally agreed to be maladaptive, while guilt has not been clearly established as adaptive or maladaptive. Following the logic of this research (which needs further study by the authors’ own admission), adaptive guilt is guilt focused on doing the right thing in the future, whereas maladaptive guilt is guilt focused on the past. Ultimately, shame and guilt are both social emotions which are meant to keep people from acting in pure self-interest. As we will see, though, shame is a generally maladaptive emotion, while guilt is generally an adaptive emotion. This distinction is exhibited in both the internal and external expressions of the emotions. One study examined the psychological processes that led to guilt to be a prosocial emotion (Graton & Ric, 2017). The researchers found that feelings of guilt led people to pay more attention to “reparatory stimuli”, such as words like “help”, “apologize”, and “fix”, than other types of stimuli. Importantly, these researchers also found that guilt led participants to feel more positively about these reparatory stimuli, making them more desirable. In other words, this study found that feelings of guilt led people to pay more attention to prosocial, reparatory concepts, and also led people to feel better about these concepts. These underlying processes may explain exactly why feelings of guilt lead people to prosocial behaviors. Another study examined the prosocial role of guilt in moral comparisons (Zhang et al., 2017). These researchers found that when people were encouraged to think about times when someone was more moral than them in their daily life (for example, if someone had given up their bus seat for an elderly person when the participant had not), they felt guilty. They also found, though, that this guilt played a prosocial role, as it encouraged the participant to act more morally in the future. These findings show the prosocial role that self-conscious emotions like guilt play in people’s daily lives, as well as the psychological processes that make guilt a prosocial emotion. A meta-analysis examining shame found that the prevailing view (that shame is always antisocial and leads to avoidance) is incomplete (Leach & Cidam, 2015). This meta-analysis revealed that in certain situations when the damage that has been done seems irreparable, shame does indeed lead to avoidance and antisocial behavior. When damage is repairable, however, shame can lead to the same prosocial and constructive behaviors as guilt. In other words, in less-serious situations where damage is reparable, guilt and shame both make a person feel bad and motivate that person to fix the situation to feel better. In more serious situations, though, where the damage seems less repairable, guilt and shame both make a person feel bad, but only guilt motivates the person to fix the damage (or as much as they can) while shame leads to avoidance of the damage. This indicates that shame is as prosocial as guilt in some, but not all, situations. In general, guilt and shame are both a response to having wronged someone. 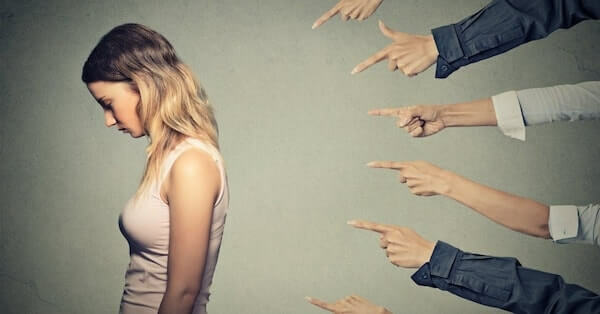 The difference is that guilt appears to push people to act in a more moral way to assuage their guilt, while shame appears to simply make someone feel bad about themselves (although, in some situations, shame may also push people to act in a more moral way). Although shame and guilt are experienced in different ways psychologically, they are also expressed in different ways behaviorally. “shame is characterized by the desire to hide and escape, guilt by the desire to repair”. Results like this have been found in children as young as two-years-old. One study led children to believe they had broken an adult’s toy and determined behaviorally whether the child felt shame or guilt (Drummond et al., 2017). These researchers found that children who felt shame behaved antisocially, by averting the adult’s gaze or hiding the toy, while children who felt guilt behaved prosocially, by quickly telling the adult about what they had done and trying to fix the toy as best they could. “[g]uilt may even play a mechanistic role in the development of prosocial behavior in becoming a key aspect of children’s conscience”. Another study examined the role of self-handicapping in athletes (Hofseth et al., 2015). Self-handicapping is when someone sabotages their preparation for a performance they are nervous about, so they can blame their performance on the preparation. For example, someone who is nervous about a test they have to take might avoid studying for the test, so that when they get a bad grade they can just tell themselves it is because they did not study for the test, and if they had studied for the test they would have done fine. The self-handicapping paper found that athletes who were more prone to shame were more likely to self-handicap, while those who were more prone to guilt were actually less likely to self-handicap. One more study examined the relationship between guilt, shame, and alcohol use (Patock-Peckham et al., 2018). The authors found that people who were shame-prone were more likely to have trouble controlling their drinking, which led them to drink more, while people who were guilt-prone had more control over their drinking, which led them to drink less. This is also in line with the idea that shame leads people to the desire to hide and escape. In general, guilt expresses itself in repair-oriented behaviors, while shame generally expresses itself in escape- and withdrawal-oriented behaviors. These behavioral expressions help explain why guilt is generally prosocial while shame is generally not prosocial. Regardless of whether one is feeling guilt or shame, though, there are ways to overcome these feelings. The best way to fix feelings of shame or guilt, as evidenced by the desire to repair expressed by guilty (and to a lesser extent, shameful) people, is to right the wrong that has led to guilt or shame. This might mean simply apologizing for a transgression, replacing something that has been broken, or otherwise repairing the damage that one has caused. Still, one might feel guilt and shame after apologizing, and it is important to know how to reduce these feelings. This is often done through self-forgiveness, especially when one does not receive forgiveness from the person they have wronged. People who are guilt-prone are more likely to self-forgive, while people who are shame-prone are less likely to self-forgive (McGaffin et al., 2013). This is important because self-forgiveness is a way to overcome guilt and shame without ignoring the real damage one may have caused that led to those feelings of guilt and shame. One promising study, however, found that a self-directed workbook could help people forgive themselves (Griffin et al., 2015). This means that even shame-prone people who are less likely to self-forgive can take steps to reach self-forgiveness. The workbook used in that study is now available for free online. Another study examining shame in people with borderline personality disorder (BPD, a disorder which is partially characterized by chronic, high levels of shame) found that mindfulness was an effective way to reduce feelings of shame (Keng & Tan, 2017). Specifically, participants who followed a ten-minute long guided mindful breathing session reduced their levels of shame. Interestingly, this study also found that loving-kindness meditation (LKM) was not effective for reducing shame compared to a control condition, though the authors suggest that may be because LKM “requires gradual cultivation” to be effective. Either way, mindful breathing specifically appears to be an accessible way to reduce shame. One more way to reduce feelings of shame is to attempt to turn those into feelings of guilt. That is, instead of feeling bad about oneself for the damage they have caused, one can instead feel bad about the actions and behaviors they have exhibited. While some people are more guilt-prone and some people are more shame-prone, this conscious transference of self-blame can occur. This can also likely be accomplished by realizing that the damage one has caused is indeed reparable, and that feelings of shame from that damage can be overcome. For people looking for actionable ways to reduce feelings of guilt and shame, or people looking for ways to confront their feelings of guilt and shame, here are some helpful worksheets. This worksheet first explains what guilt is, then offers some suggestions for how to cope with guilt. It then goes on to do the same with shame. This worksheet appears to be directed at people leading substance abuse support groups, but can be helpful both for individuals and people who have struggled with guilt and shame separate from substance abuse issues. This worksheet was also created in the context of rehabilitating after substance abuse but can be useful for anyone dealing with guilt and shame in their lives. It asks people to define guilt and shame for themselves, and then identify the stressors that lead them to guilt and shame. Finally, the worksheet asks for strategies one can use to head off these stressors. This worksheet will help people better understand the roots of their feelings of guilt and shame, which is a first step to relieving these feelings. This workbook is the same one described in the previous section but merits another mention. It is 69 pages long, and the original study considered it to be a six-hour affair to complete. It could be an invaluable resource for anyone who has trouble forgiving themselves, though, so its length should not be discouraging. This worksheet is not explicitly about guilt or shame, but since research has shown that mindful breathing can help relieve feelings of shame (Keng & Tan, 2017), it might be helpful. This worksheet will help anyone start a mindful breathing practice, no matter their level of mindfulness knowledge. For people who prefer following along to guided sessions, this YouTube video might be helpful. At the end of the day, guilt and shame are crucial social emotions, as they keep people from acting in pure self-interest. It is important to recognize and attempt to repair the damage that has led to guilt and shame, but it is also important to forgive oneself when a genuine attempt has been made to repair that damage. Otherwise, feelings of guilt and shame can weigh on a person in a non-prosocial way. It is also important for people to forgive those who have wronged them when the transgressor has recognized the damage they have caused and has attempted to repair that damage. While everyone has the right to protect themselves and ask for preparatory actions after they have been wronged, everyone also has the right to be forgiven once they have repaired that damage, or have made legitimate attempts to do so. After all, guilt and shame are fundamentally meant to lead to a more empathetic and just society. Lewis, H.B. (1971). Shame and Guilt in Neurosis. Psychoanalytic Review, 58(3), 419-438. Joaquín Selva is a writer who was first introduced to psychology through behavioral neuroscience research. This research experience was focused on addiction with the hopes of ultimately helping people change their habits. Joaquín was born in Nicaragua, now lives in the United States, and believes positive psychology teachings can improve people’s lives in both countries. What a great post! Thank you so much for all of this valuable information. Thank you, content and worksheets very useful. Wow! I am impressed with the content and applicable worksheets included. A real hands-on workbook. Easy to follow and simple to use. You have a gift to share. Outstanding summary on the topic. Thank you so much. I am suffering from shame and use alcohol to escape. I I am ashamed of my body and can not be intimate with my partner. I can not wear certain clothes in public ie: sleeveless tops or shorts or dresses or jeans . My body was super obese and now has lost the weight but has a lot of loose skin. I have always been ashamed of my body since I was a child and I can’t get over it. I am now 50 yes old. See, this is shame you are describing and it has nothing to do with something you did wrong. So, contrary to what the author says, shame is quite often more related to internalized messages from society. Many of these messages are propagated by advertising, but also by our educational system, criminal justice system and are even relayed by parents. I would also like to review some literature to deals with shame of bullying and/or remedies to apologize for bullying. I would love to see more on this topic that pertains to the shame felt by someone who has been bullied.